Visit mikebraunforindiana.com and donnelly.senate.gov to volunteer. Other Senate candidates include Lucy Brenton (L), & Nathan Altman (Write-in: Independent). Due to limited space, we can only include candidates polling 15% or more, but encourage you to check out their websites. To download a printable pdf version of this guide, click here. Braun – No public statements found. Donnelly – Yes. “Climate change is a serious issue.” Has supported tax credits for renewable energy but voted against allowing EPA to regulate greenhouse gases. Contraception: Can employers withhold contraceptive coverage from employees if disagree with it morally? Donnelly – No. Voted to prevent for-profit corporations from withholding coverage on religious grounds. Donnelly – Undecided. Will make a decision after hearings. Braun – No. Government isn’t the driver of new job creation or economic prosperity. Donnelly – Yes. Supported anti-recession stimulus & supports infrastructure investment. Economy: Support President Trump’s tariffs on Chinese steel & other products? Braun – At first opposed. Now supports & trusts Trump to negotiate. Donnelly – Support steel producers but concerned will cause harm to Hoosier farmers. Economy: Support restrictions on offshoring jobs? Braun – Opposed law to recoup public financial incentives when companies move jobs abroad. Donnelly – Yes. Restrict tax incentives for these companies & penalize in awarding government contracts. Donnelly – No. Expressed concern about budget cutbacks. Financial Regulation: Support cutbacks of Consumer Protection Bureau, created by Dodd-Frank financial reform law? Donnelly – Voted for Dodd-Frank. Recently backed easing regulations for smaller banks. Opposed attempts to ease lending protections for military members. Gay Issues: Support gay marriage? Allow business owners not to serve gay customers on religious grounds? Braun – Traditional marriage should be between a man & a woman. Backed Indiana Religious Freedom Restoration Act, letting businesses deny services to gays. Donnelly – Mostly no. Opposes assault weapons ban, but supports expanded background checks. Healthcare: Support or Repeal Affordable Care Act (ACA), known as Obamacare? Support Medicaid expansion? Braun – Repeal. “There is no repairing this broken law…Repeal & replace every word & regulation.” Voted against Medicaid expansion. Donnelly – Support. “Healthcare is a basic human right for every single American.” Supports ACA, Indiana’s Medicaid expansion & subsidies to make insurance more affordable. Immigration: Support path to citizenship for “DACA” recipients or “Dreamers,” who grew up in the US after being brought here as children? General views on immigration? Braun – No. DACA recipients should be in the same pool as other illegal immigrants. Build border wall, ban sanctuary cities, demand businesses verify employees’ immigrant status, & end chain migration. 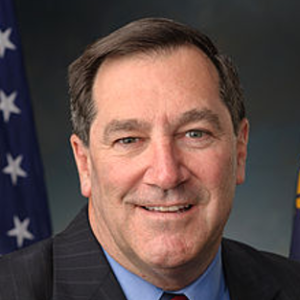 Donnelly – Supported 3-year protection for DACA recipients that deferred question of citizenship. Supports border wall. Voted for broader immigration bill with more border security & possible citizenship after 13-year waiting period. Iran: Support President Trump withdrawing from treaty limiting Iran’s nuclear capability in return for lifting economic sanctions? Braun – Yes. Also supports re-imposing sanctions. Braun – Supports medical use, framing issue in terms of “free markets & freedom of choice” for patients. Donnelly – Open to medical, no for now to recreational use, though hasn’t ruled out. Backs researching marijuana to treat veterans for PTSD & pain. Minimum Wage: Raise the federal minimum wage beyond current $7.25/hr? Braun – Likely no. 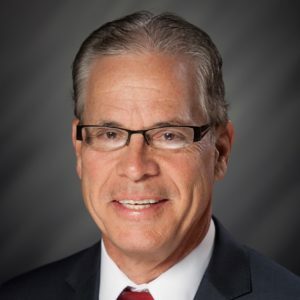 In 2015 opposed increasing Indiana minimum wage to $10.10. Donnelly – Yes. Voted to increase from $7.25 to $10.10, opposed raising to $15.00. Braun – No public statement found. Donnelly – Yes. Voted to keep Net Neutrality. Braun – Said Trump was an inspiration for his run for office. Donnelly – No. Opposes any privatization. Donnelly – Yes. Has supported funding renewable energy, but also oil, gas, & coal. Donnelly – Backed Warren bill. Also voted to keep student loan interest rates at 3.4% rather than 6.8%, and to give students accurate info on loan costs. Voting Rights: Restore voting rights protections erased by Supreme Court? Donnelly – Work together to ensure that the right to vote is not denied.